We all have seen how the Ford Mustang has evolved from its ancestors to the present generation. Special mention goes to the sixth generation update in 2015 which saw a complete overhaul of what we had known the Mustang to be. 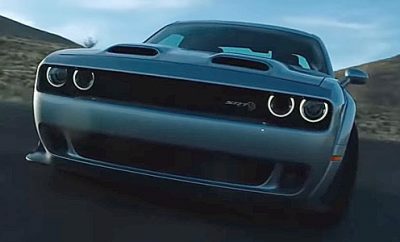 The current monstrous drag racer was undoubtedly born. The 2015 Ford Mustang was made with everything good and quite deservedly earned five star rating for front side and rollover crash protection by the National Highway Traffic Safety Administration. The 2018 Ford Mustang, however, is not just a redesign of the current Mustang, it’s a refreshment. And the reason I say this is that the newest version will be getting some major changes that would extend just beyond the aesthetics. The changes will be bold and loud and we love that approach. So here are the topmost things that you should be knowing about the MUSCLE CAR (it deserves the moniker) before it hits the showrooms towards the last part of 2017 or the beginning of 2018. Majority of the changes have come in the mechanism of the car. And these stuffed in enhancements will definitely make it a mighty and mean creature on the track. The moment you grab the steering for a fun drive down the track or the long and calm highway, you will notice one big change. The 6-speed gearbox is now done away with and you will get a 10-speed automatic transmission gearbox (yes, you read it right). Needless to say, this will take the power deliverance, performance and efficiency to a different league. Indeed. 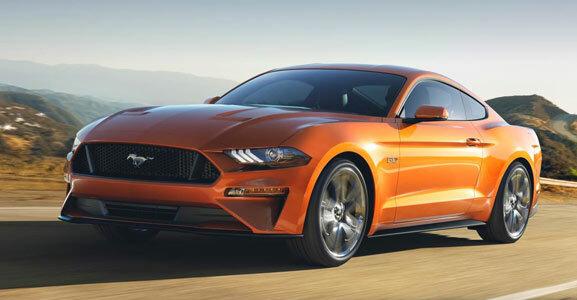 The six cylinder engine in the present Ford Mustang will no longer be featured in the newer version. Instead, it’s time to embrace the V8 engine. The out-of-fashion V6 is now making way for the higher turbocharged four cylinder motor as the basic, something that is ‘the one to get’. Though we are still unaware of the exact figures, the 5.0-litre Coyote engine will definitely stack up more power, and more torque as well. The 2018 Ford Mustang will definitely be a great treat to the eye. Get inside the cabin and you will feel like you have entered a supercool cockpit, with everything at hands reach. There are many incremental changes that makes things even better. The switchgear titbits have adopted a fine touch, along with upgraded leather steering wheels. But the biggest (and the most eye catching) changes has been fitted in behind the steering. Ford has given its 12-inch fully digital instrument cluster. 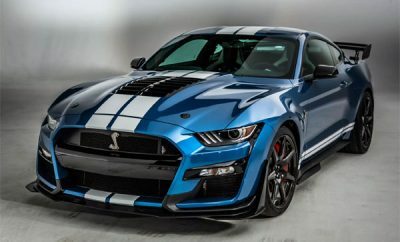 This will be paired with the company’s new SYNC3 infotainment system.However, if you don’t like the new all-digital system, Ford will offer the analogue system as standard in the new Mustang. The 2018 Ford Mustang will be receiving some good bits of exterior designing upgrades like revised aerodynamic structure. The air intake grille is now narrower and more prominent than before. This means that the front hood is now a little lower than the previous model. You can easily call this change as a master revision where the muscular front is done away with for a more athletic and leaner stance. The 2018 Ford Mustang will some serious amount of comfort even on the go. 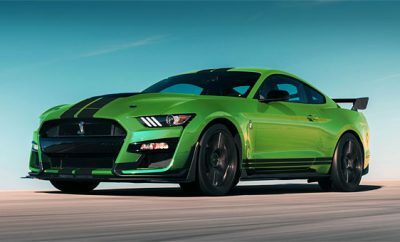 The 2018 version will now get the same of suspension that we get in the Shelby GT350. Yes. That same MagneRide adaptive dampers. Ford Mustang has been one of the most successful cars to have embraced the automobile world. The bulge in the sales figure started to come ever since it was introduced way back in 1965. With the making of the 2018 Ford Mustang, the company has played bull’s eye with the combination of transmission, interiors, mechanism and comfort. The current generation of the Mustang was never incompetent, never fell out of place. But still, if you feel that you could do one bit extra, the new version will fulfil all of those expectations, for sure.